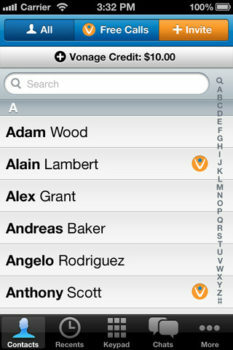 The Vonage Mobile iPhone app is a free download and allows for cheap VoIP calls to landlines and mobile numbers (similar to Skype) and free texts and calls to fellow Vonage Mobile app friends. The company has announced it has extended its promo for free calling to landlines in Canada, the U.S., and Puerto Rico for a limited time. The app will enable you to make free calls over 3G or WiFi, and call quality will depend on your connection of course. The app will ask for permission to access your address book during the initial setup, plus you have to enter in your mobile number and email. You will then receive a confirmation code SMS from Vonage. Future plans for the app include adding Bluetooth and international roaming. 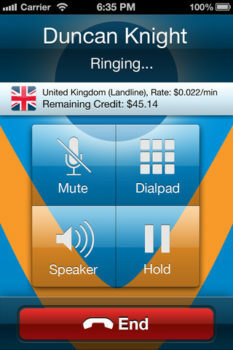 You can download the Vonage Mobile App here–it’s free.